In the present Sri Lankan context more emphasis is on startup businesses due to the fact that the SME sector can help people thrive while enhancing the GDP of the country. Although there is a breed of potential entrepreneurs in Sri Lanka, some struggle to survive in the marketplace due to the lack of marketing and selling skills. However there are success stories of entrepreneurs who have become businessmen to be reckoned with. Their achievements would inspire people who yearn to be successful entrepreneurs. The Merit award winner for the ‘SME Brand of the year’ at the SLIM Brand Excellence 2018, Geeth Liyanage, is an ideal example of such success stories. Hence this reveals his journey to success as an entrepreneur who has showcased flying colours. 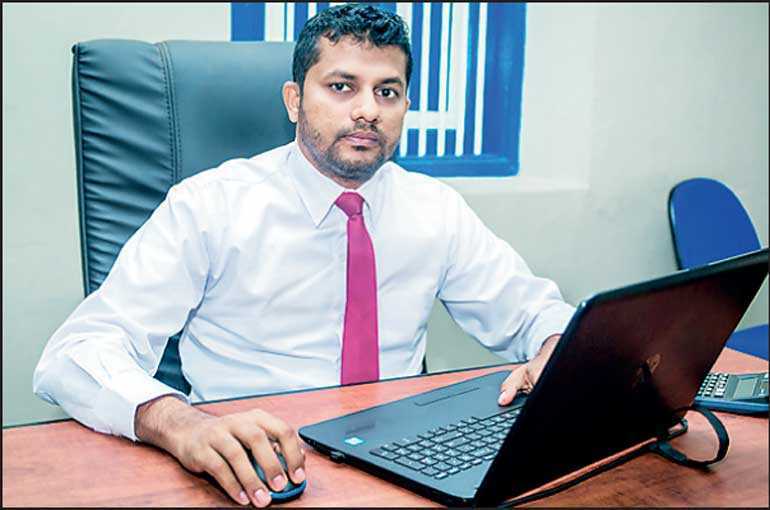 Liyanage, who came to Colombo from Galle to start a career as an IT executive, eventually started his own business upon identifying his knack for marketing. This passionate young person thus ventured into a business that deals in manufacturing and distribution of spices in 2009. Lakrasa Products Ltd. at present operates at No. 528, Kandy Road, Dalugama, Kelaniya. “After leaving school I had a stint at an IT company and afterwards joined DSI as an IT Executive. However I thought I had the capacity to be an entrepreneur. Initially after office hours I used to buy spices from a wholesale shop near my boarding house, pack and deliver it to retail shops in the vicinity. By doing this I earned some extra income. With time I thought of developing this business. Eventually after branding my products as ‘Lakrasa Products’ I started marketing them in a professional manner,” says Liyanage. Liyanage had created a prospective customer base from the network he had through his previous jobs. Yet since he believed in ethical business, he reached this customer base with a totally different product, that being spices. “One has to have skills in marketing to succeed in the marketplace. Some individuals have an inborn knack for marketing. If a potential entrepreneur thinks he or she needs to polish his/her skills in marketing, the best thing is to learn the finer-points in marketing and selling from a reputed institution,” he adds. The current customer base of Lakrasa Products includes Sri Lankan Catering, Perera and Sons, private sector hotels and hospitals. It also does retail distributions in Nuwara Eliya, Kandy, Madampe and Sigiriya. “We buy some raw spices locally (pepper, cinnamon) and import some. After that we process and pack them here in our factory and send for distribution. We have our own grinding division functioning with automatic grinding machines and the packing division with automated packaging machines. The products are made according to stringent quality standards and hygiene. From the raw material status to the finishing point, we ensure the quality and the hygiene of our products. Our dedicated staff and production supervisors constantly check the quality and the purity of the products at all levels to offer consumers the best quality Lakrasa Products. We never compromise the quality of our products,” he explains. Liyanage says stiff competition had been his main challenge as a newcomer. As a startup he has struggled to maintain quality standards of his products but eventually has overcome that challenge. As of today, Lakrasa Products has quality certifications; ISO, GMP and HACCP. “I have mastered time management skills via my own business. Personal commitment and passion towards what you do is essential in order to elevate the business to greater heights. I usually work from 7 a.m. to 9 p.m. now. Before I hired my staff, I did it all by myself and was a bit stressful but now I’m happy with the position that I have achieved with all my hard work,” he continues. According to statistics, a significant percentage of Sri Lankan startup ventures collapse in a short period due to various reasons. Speaking of this scenario Liyanage said the SMEs should adapt a marketing-oriented approach to succeed in business. “You should mainly have a plan and a target to be achieved and a there should be 100% concentration on the business. Marketing plays a pivotal role for an organisation’s sustainability. The lack of marketing knowledge is one of the critical reasons for the failure of entrepreneurship in Sri Lanka. Hence SMEs should have inborn or acquired marketing skills,” he stresses.